The book will take an easy-to-follow and engaging tutorial approach, providing a practical and comprehensive way to learn Android intents. 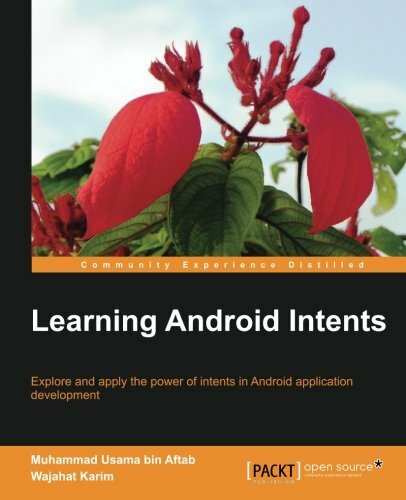 If you are a novice or an intermediate Android Developer who wants to expand their knowledge of Android Intents, this book is ideal for you. Readers are expected to have basic understanding of Android development, how to use different IDEs, and how to develop applications using Android APIs. 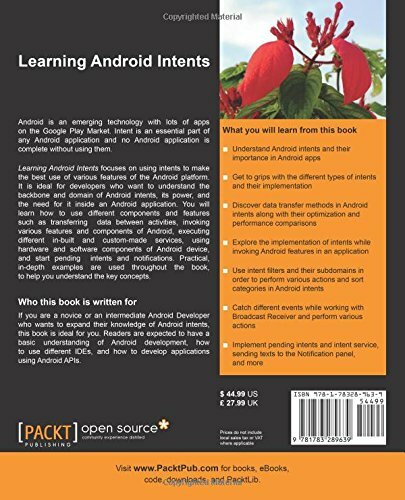 I, and my co-author, wrote a book on Android development titled as Learning Android Intents which was published by Packt Publishing (http://www.packtpub.com) on PacktPub store, Amazon, Safari Online, Barnes & Noble Book Store, and Google books. The book has also been distributed in printed copy throughout globally.